“Shrines and Temples of Nikko” were registered as World Heritage site at the 23rd session of the UNESCO World Heritage Committee held at Marakesh in Morocco in December 1999. 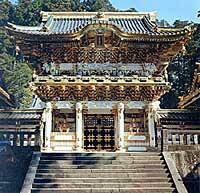 The site consists of two Shinto shrines (Futarasan Shrine, Toshogu Shrine) and Buddhist temple (Rinnoji Temple). There are 103 historical buildings consisting of 9 national treasures and 94 important cultural properties. Most of the buildings were constructed by the greatest artists in the 17th century, and their artistic values are very high. 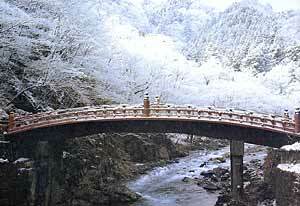 Also, Nikko played an important role in supporting political structure of Edo period. For example, successive shoguns, envoys dispatched from imperial court in Kyoto, diplomatic envoys from Korea, they visited to Nikko. Moreover, those buildings are well harmonized with natural environment in order to take place for religious activities to worship mountains of Nikko. Toshogu was originally constructed in 1617, a year after Ieyasu Tokugawa died. 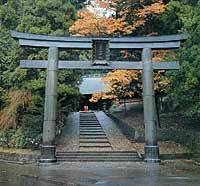 The reason why Toshogu was erected in Nikko, was because directional relationship with Edo. Nikko is located in the north of Edo. Ieyasu defined Nikko as the center of Edo (or whole nation) by referring the relationship between the polestar and universe. His intention was to protect the whole nation by being the polestar of Edo. Although Toshogu was constructed in a small sized and simple shrine as Ieyasu’s last will, the shrine was reconstructed and expanded to larger size and became more gorgeous in color in 1636. 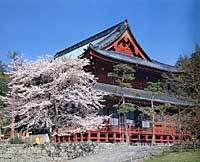 Rinnoji Temple is a generic term for temples, shrines, and 15 subordinative temples. The site thrived as a place for mountain worship and many Buddhist ascetics visited to practice since the priest Shoto constructed Shihonryuji Temple in the end of the 8th century. Futarasan Shrine has been the center of mountain worship since ancient period. A priest Shoto constructed Shihonryuji Temple on the north side of the Daiya River in 766 and constructed Hongu Shrine (Main shrine) then. This was the beginning of Futarasan Shrine. The Futarasan Shrine had been respected as the best shrine of Tochigi prefecture since early times, and worshiped by shogunate and powerful clan as the guardian of Kanto region. Tokugawa shogunate constructed more shrines and contributed sacred territory when Toshogu Shrine was built in 1617 to express respect for the Futarasan shrine. There are 23 important cultural properties in Futarasan Shrine. Also, 22 annual events have been taken there.